Oil prices have extended losses as US President Donald Trump once again tried to dampen OPEC's efforts to tackle falling oil prices amid market expectations on further output cut. 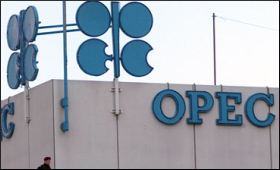 "Hopefully OPEC will be keeping oil flows as is, not restricted. The World does not want to see, or need, higher oil prices!" Trump said on Twitter on Wednesday, Xinhua news agency reported.